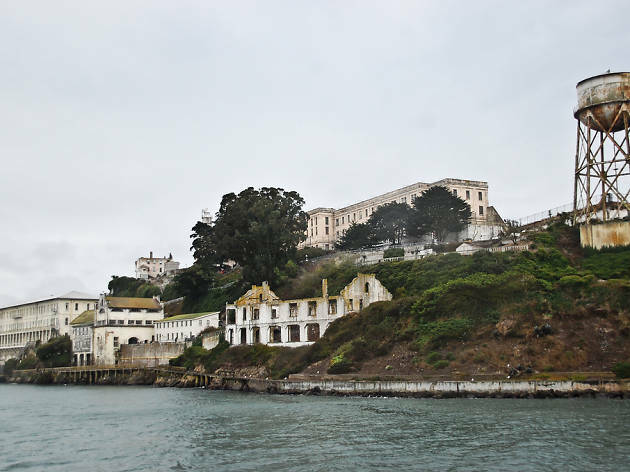 Converted from a lighthouse station to a military prison in the 1870s, this formidable fortress in the middle of San Francisco Bay found true acclaim after being upgraded to a maximum security prison in 1934, home to the early 20th century’s most notorious criminals. Today you’ll only make it to “The Rock” via ferry from Pier 33 Alcatraz Landing. Once there, the self-guided audio cellhouse tour narrated by former inmates and guards will fill you in on harrowing escape attempts, prison riots and the 19-month long occupation of the site by Native Americans demanding reparation for broken treaties in 1969. To get a more creepy bang for your buck, try a night tour. Plan to spend about three-hours round trip and bring a jacket to protect you from heavy year-round fog and the agonized spirits of the island’s former residents. 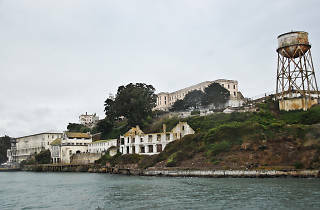 Alcatraz is run by the Alcatraz Cruise company from pier 33 and offers a smooth service to and from the island. Once on the boat you can get yourself a soft or hot drinks and a snack, as food and drink isn't allowed on the island itself as it's part of the National Park there. Once on the island you are then given a brief talk before being led in groups of 100 to the prison itself where you are given an audio tour headset which is around 45 minutes in length and does a good job of guiding you around the cells and telling some stories with the actual voices of some of the prisoners and guards there. You'll learn about daily routines, solitary, and of course some of the daring and famous escape attempts from the maximum security prisons. We did the night tour on a cold and foggy night so we got the first available boat back. those who wish to stay longer can experience the cell doors being opened and shut, and watch some movie presentations as well. A smoothly run tour of a very historical landmark!